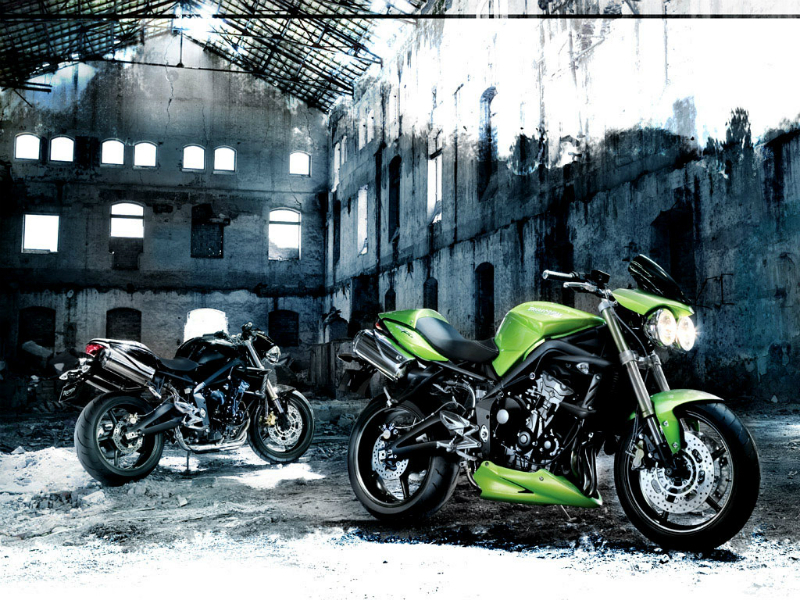 The Street Triple has made name around the world by its gorgeous looks and better performance. This global hit which was unveiled in India at Auto expo 2012 is expected to be released in the country by the end of the year. As per the available data the vehicle is modified with more contemporary design, colors and graphics to attract larger crowd. 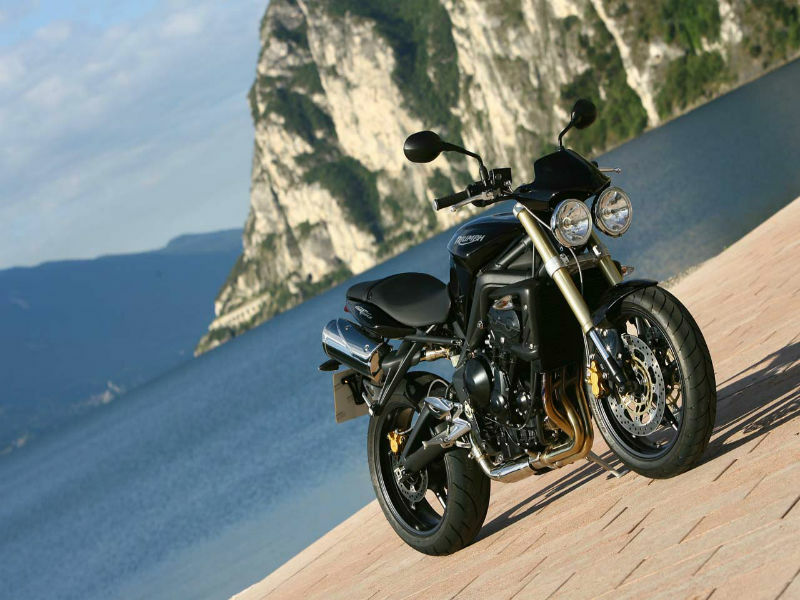 In terms of performance Triumph Street Triple is very appealing and the main reason behind it is, its powerful 675 cc, liquid cooled, 12 valve, DOHC, in-line 3 cylinder engine. The maximum power generated from this engine is about 105 Bhp at 11700 rpm and the highest torque achieved is 68 Nm at 9200 rpm. This power produced reaches the wheels through its 6 speed gearbox. This bike from Triumph is a complete vehicle with all the trendy, fancy and modern looks followed by advanced technological features to assure better riding experience. The attractive curves on the fuel tank, innovative design of the headlamps and comfortable seating position make this bike a real crowd puller. The neatly placed motor with cylinder looks like a jewel thereby adding its design. This attractive bike from Triumph is popular for it's much talked about chassis which assure better balance and great driving experience. The suspension system of the vehicle including the front 41mm upside down forks and rear monoshock with adjustable preload offer great deal between comfort and control. Further the disc brakes used provide quick braking of the motorbike within a short distance. This yet to be released vehicle from Triumph is new to Indian roads thus the exact mileage it offers is not known. The cost of this motorbike is expected to vary between Rs. 5,75,000 to Rs. 6,50,000. 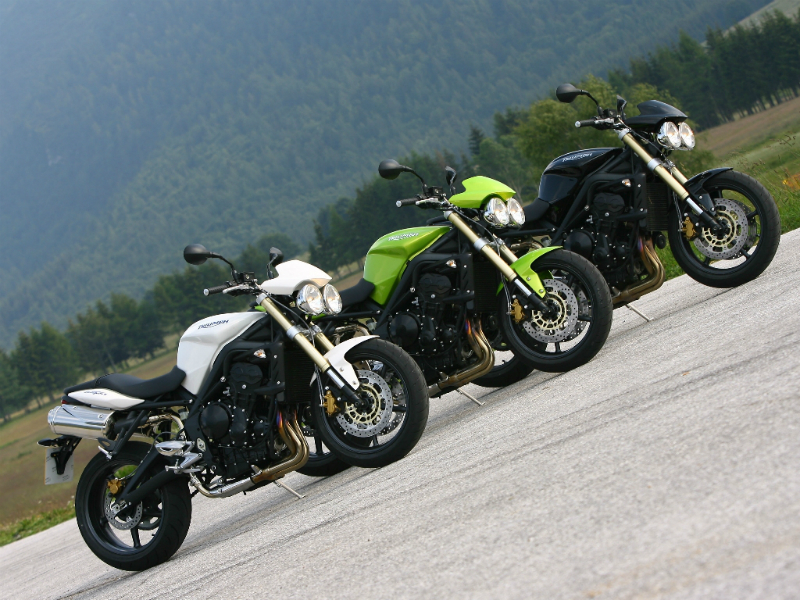 The detail of colors available in Triumph Street Triple is not yet known.